If you are unfamiliar with PlayerUnknown’s Battlegrounds you may need a PUBG guide. 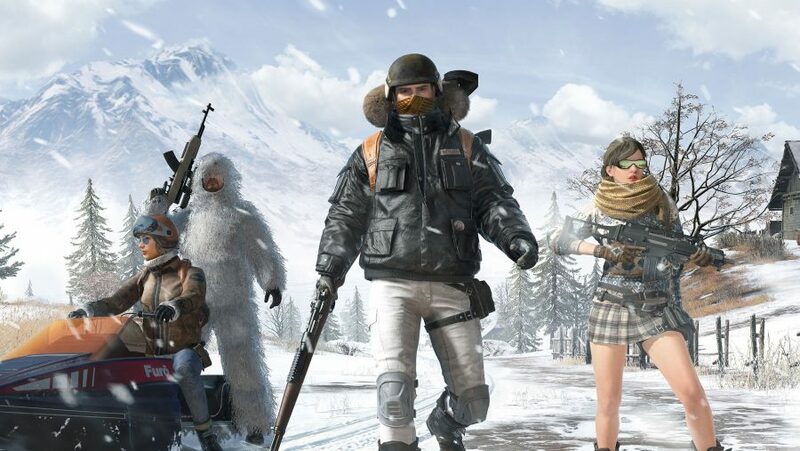 The game is essentially the latest hugely successful battle royale with one huge exception: it is not total bobbins. With its numerous maps and weighty gunplay reminiscent of a military sim, new players face an almighty learning curve en route to their first chicken dinner. Understandably then, useful PUBG tips and tricks are in high demand, which is where this guide comes in handy. 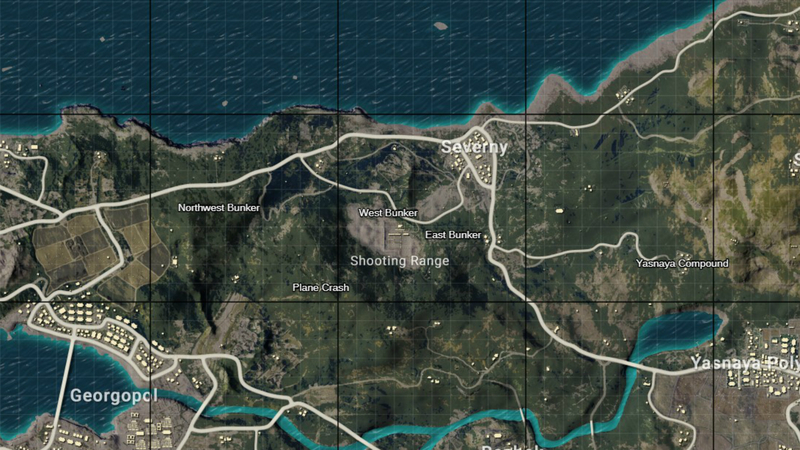 PUBG puts you on a plane with 99 other players, flies you over an enormous map full of large towns, military bases and humble farmsteads, and lets you choose where along the flight path you want to land. Once on the ground you will have to scramble together as much loot as you can find, make it to the randomly designated, constantly shrinking safe zone and duke it out with everyone else until you’re the last survivor. Knowing the map, tools of the trade, and some general PUBG tips and tricks will help you edge your way closer and closer to that esteemed Rank #1 spot. So, whether you’re struggling to take down enemies over long distances, or you want to know which guns to look out for when looting, we’ve got you covered. PUBG Corp have done their best to make sure Miramar stands out in terms of its gameplay as well its desert aesthetic. That means some of the established rules of the Erangel map no longer apply. 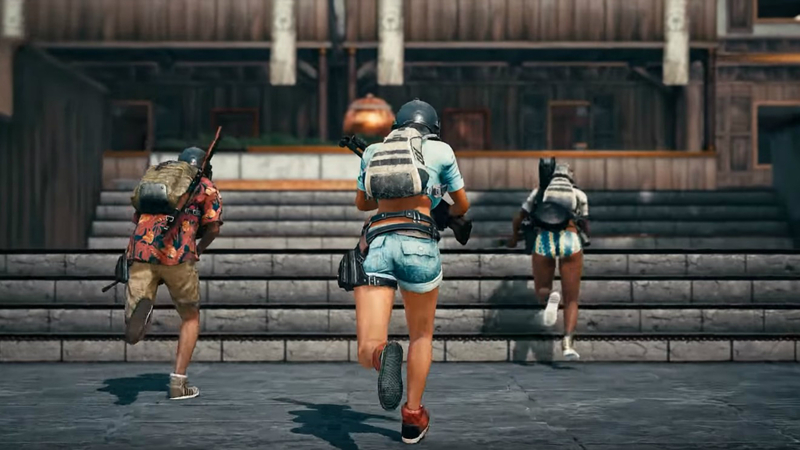 There are plenty of large new settlements to explore, so we will run through the best loot spots in Miramar to save you some time, too. None of the Miramar-exclusive weapons are essential new additions, but a couple of them are worth seeking out. For starters, the Sawed-off shotgun is a solid addition to any inventory as it is small enough to count as a sidearm, meaning you can carry the close-quarters stopping power of a shottie without sacrificing a primary weapon slot. The lever-action Win94 is a solid DMR if you cannot get your hands on an SKS – the fact that it cannot take any attachments means its hefty damage rating is hard to utilise. Finally, the R45 is a great pistol if you are really struggling to find gear. 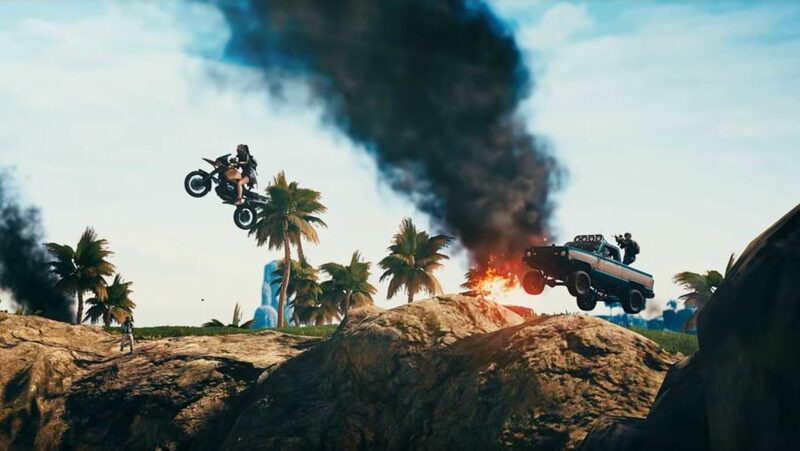 Two new cars and a jet ski spruce up your vehicular options for Miramar, but just because they are new, does not mean they are worth picking up. The Pickup is the ideal addition for this rugged new map and is both fast and capable of crossing rough, undulating terrain with ease – it can carry 4 people as well. The VW-inspired Van is neither of those things: sluggish, easy to spot, covered in large glass windows, and totally useless on anything but tarmac. Weirdly, it can carry 6 people, which either allows for awkward ambushes or hints that a new mode with larger squads could be coming to PUBG. 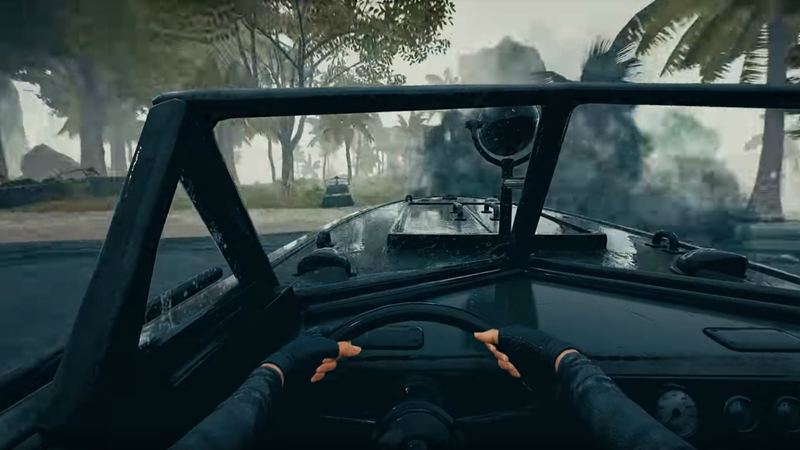 The Aquarail jet ski is a quick way of crossing Miramar’s modest body of water, which is important seeing as you will likely be under heavy fire – preferable to the PG117 unless you are playing in squad servers. Miramar has clearly been built with vaulting in mind, and as a result you can scale a number of shacks and houses by climbing up nearby obstacles. High-level loot is often secreted away on top of buildings you would normally ignore. PUBG pro tip: these shacks usually have good cover at roof level, making them great sniper nests. It used to be that closed doors meant a building was empty. However, the addition of vaulting to PUBG means you can now climb in and out of most houses without having to use a door. 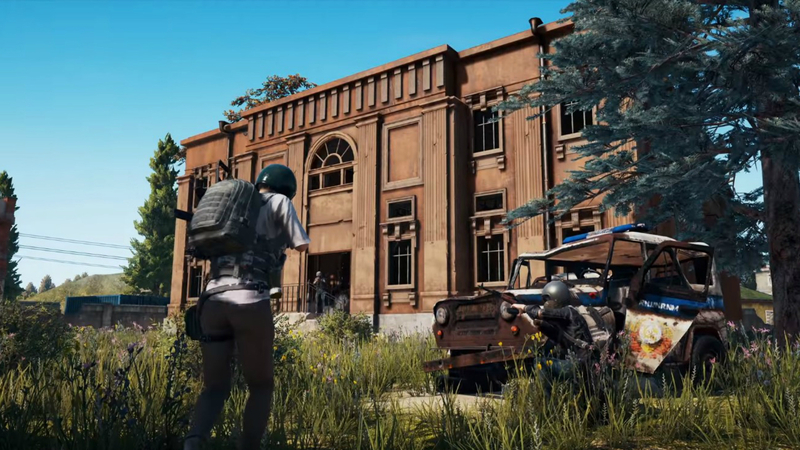 Buildings in Miramar are even tougher to assess as there appear to be many more windows, doors, and vertical entrances. Of course this makes life tough for defenders as well: you can no longer sit tight with your shotgun trained at main door. 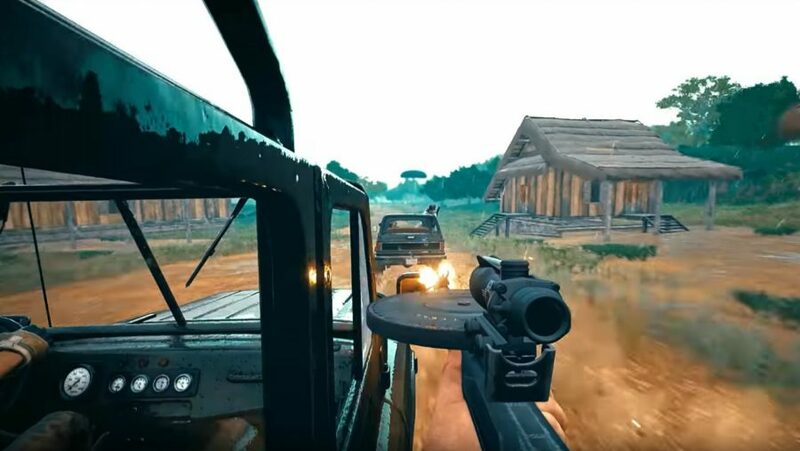 When it comes to PUBG tips and tricks, loot hot spots are generally best to ignore because of the number of players you will be competing against. El Pozo wrestling arena boasts multiple assault rifles, healing items, and a bizarre number of scopes, all at relatively low risk. Better still, you can parachute onto its roof and loot the building from the top down, securing all the best gear quickly and catching other players off guard. Usually, all the best loot can be found in big buildings that attract equally large crowds of players. 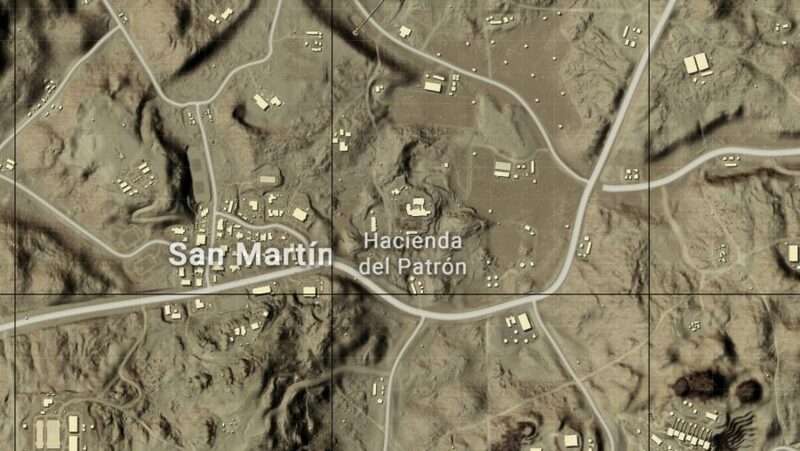 Hacienda del Patron is an anomaly as you can reliably find a few assault rifles and DMRs, as well as armour, healing items, and attachments in a building that is smaller than Erangel’s popular school spot. Apparently wrestling rings are magnets for loot. Much like El Pozo, Pacado’s wrestling arena can be quickly accessed by parachuting onto its roof and dropping in through a caved-in ceiling. Inside there are plenty of assault rifles, shotguns, ammo, and attachments that should be sufficient for any chicken dinner run. While loot locations, safe zones, and the initial flight path of the spawn plane is randomised for every match, you can still make it to practically anywhere on the map before the game’s first phase is up. 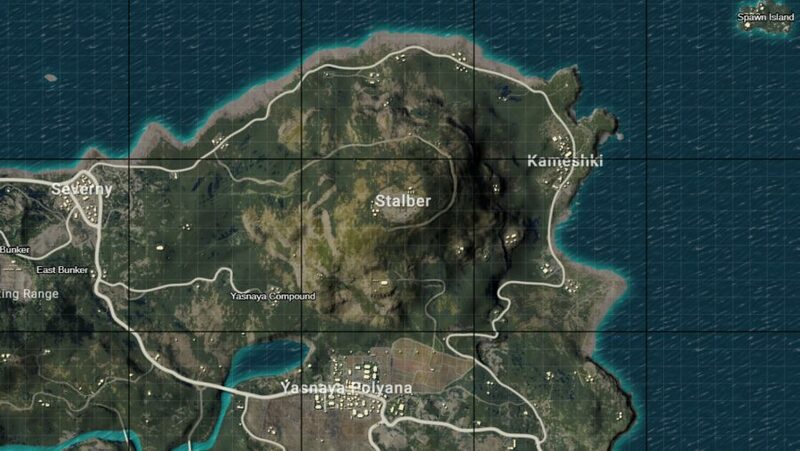 It helps to know the most popular landmarks around Erangel so you can get your hands on the best PUBG loot or so you know which areas to avoid. PUBG tips do not get simpler than learning the map, but when the map is this big it is important to know where you are parachuting into. A veritable beacon of military-grade weapons, attachments, and armour, Sosnovka Military Base is a location with a hefty amount of risk attached to its bountiful rewards. Why? Everyone knows they are guaranteed to find something good there, and if you are looking for some quick action to kick the match off it is arguably the deadliest drop point on the map. To make matters more lethal, unless you are very lucky and the play zone lands within Sosnovka Military Base itself, you will have to cross one of two bridges in order to reach the mainland. As PUBG tips go, staying clear of bridges will serve you well: they are popular ambush spots. Still, Sosnovka Military Base is always good for a sniper rifle or two of your own, plenty of armour, automatic weapons, and high-power scopes to boot. There are also a few vehicles dotted around the base and some in the settlements by the bridges that will help you make your escape once you have loaded up on gear. If it is decent gear you are after and you really do not fancy fighting for it then the archaeological site in Stalber will guarantee a solid loadout to anyone who can be bothered to make the lengthy trek there. If someone else takes the same approach as you then there are ample supplies for two and plenty of room to hide should you wish to avoid an early fight. Formed of two areas – a small town in the northwest and a school complex and apartment block in the southeast – Rozhok can be a tricky starting spot due to its central location and popularity as a scavenging spot. The town will only yield standard weapons such as pistols, shotguns, and assault rifles, but is a safer bet due to the high density of buildings and cover. The school is usually good for a couple of rarer PUBG guns, but is incredibly dangerous due to the number of entry points and the fact that if you do want to leave it you will have to contend with players watching you from the nearby apartment buildings. An added benefit of Rozhok is that it is in the centre of the map, meaning you can stick around there for most of the match racking up kills and gear until you need to move over to the play zone later into the match. Located south of Yasnaya Polyana and west of Lipovka is a military bunker replete with weapons and armour. It’s perfect for kitting out a single player or a whole squad, with a good chance of finding a scope, a sniper, and plenty of assault rifles within it. The bunker can be a hotspot for scavengers though, so it’s often a first-come first-served gear spot – and whoever arrives late is as good as dead, so watch out for other parachutes when landing here. To the southwest of Severny you can find a firing range, and as you might expect, it hosts a good number of military-grade weapons such as snipers and assault rifles. Chances are you won’t be alone when you arrive here, so loot fast and watch your back. On the plus side, it’s a great spot for a tense shootout. 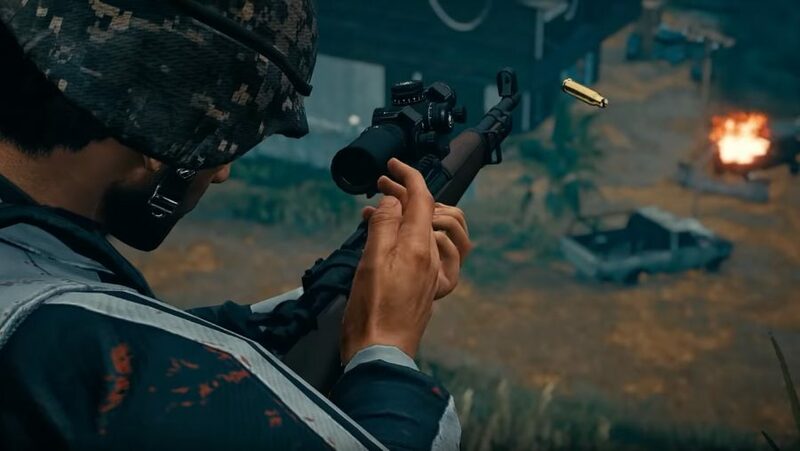 Here is a PUBG tips freebie: if you get lucky and find the firing range undisturbed then spend some time firing at distant targets to get a sense of how bullet drop works in Battlegrounds. 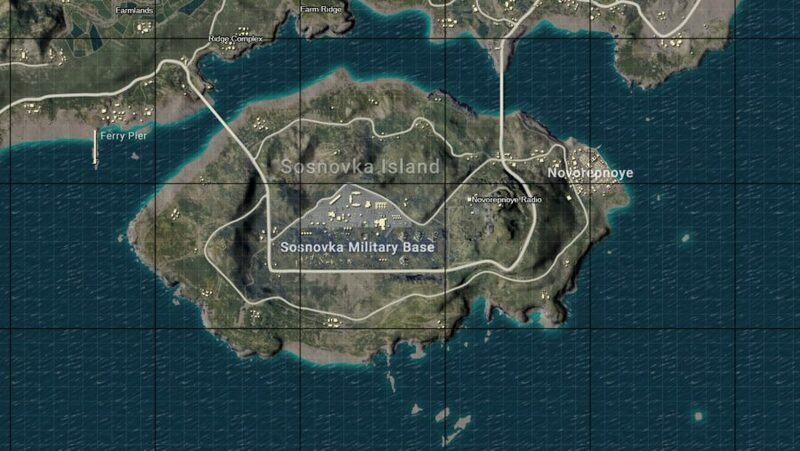 Like Sosnovka Military Base, you will find everything you could possibly need in this coastal town, but be prepared to battle for it in tense urban firefights. This may not be a great spot for making it to the later stages of a match due to the sheer number of vantage points you can get sniped from, but a humble shotgun is all you will need to enter the fray with confidence here, making it among the most fun spots to drop into. The safe zone will likely appear miles away, but Georgopol will often have three or four vehicles to pick from, which makes it a more appealing prospect than Mylta Power on the opposite side of the map. There are eight firearm classes as well as melee weapons and grenades in PlayerUnknown’s Battlegrounds, and each variant within them has a distinct set of strengths and weaknesses that make it stand out. As it has got plenty of Arma DNA running through it, PUBG does an impeccable job of making shootouts feel realistic, and few games can match it when it comes to gunshot sounds. 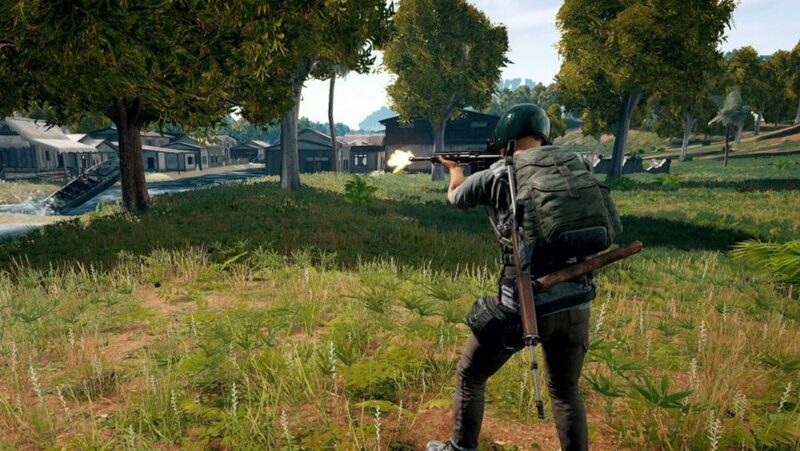 We have a sprawling PUBG weapons guide if you are after detailed analysis on every gun in the game, but if you just want the basics then the following PUBG tips will guide you through the game’s combat. Having a higher damage per second rating does not guarantee that you will come out on top in a tense duel. Many assault rifles, SMGs, and even the odd DMR and sniper rifle can be switched to fully automatic fire, but unless you know how to handle the recoil (and if you do then you do not need a PUBG tips and tricks guide) then the likelihood is all those extra shots will be wasted, much like you after your target has been alerted to your whereabouts. This is one of the more obvious PUBG tips we have for you, but when it comes to clearing buildings this point cannot be stressed enough: shotguns dominate in close-quarters. Shotguns might be common, but they are worth keeping around until the dying minutes of a match because of their one-shot kill potential. Seeing as you will spend a lot of time searching through buildings for extra loot, this high damage weapon class should never be overlooked, especially considering how easy they are to aim. High damage, relatively common rarity, the ability to engage targets at long-range, and a high enough rate of fire to save you in a pinch: assault rifles can be used in any situation to great effect. If you manage to find an AKM or M416 and a few attachments you have a good chance of getting that chicken dinner. Scopes in PUBG all have a zeroing distance that is displayed when aiming down sights. If the given distance is 100 metres then that means your bullet will land exactly where you click up to that distance. If your target is roughly 200 metres away then you will have to aim a bit higher – learning exactly where takes hours of practice and trial by error, but the paying attention to the zeroing distance makes the process a lot easier. Quick PUBG tips: you can also increase or decrease it with PgUp and PgDn respectively. 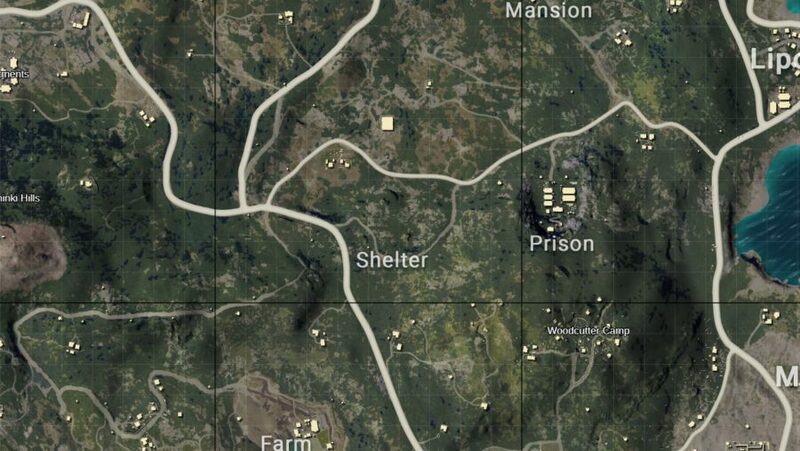 Each white square on the in-game map is 100m². Therefore, if you are in a long-range shootout, you can pull out your map, spot roughly where they are judging from landmarks, and count up how many white lines separate the two of you. Aim accordingly and you should be able to land that first tasty long-range kill. If you keep wondering where other players are getting their LMGs and sniper rifles then you have been shying away from those supply drops that are parachuted in by plane every few minutes. Each supply drop contains a medley of high-level gear, so if you want the very best items then you will need to find a vehicle, follow the container as it falls, and kill everyone else around the landing zone. Even the game’s best sniper rifle is only as good as the scope that is fitted to it, and if you are relying on iron sights then you have already lost. Provided you can get your hands on a 4x or 8x scope you will be able to hold down any building in the game. You can also use scopes to scout out buildings from a safe distance. 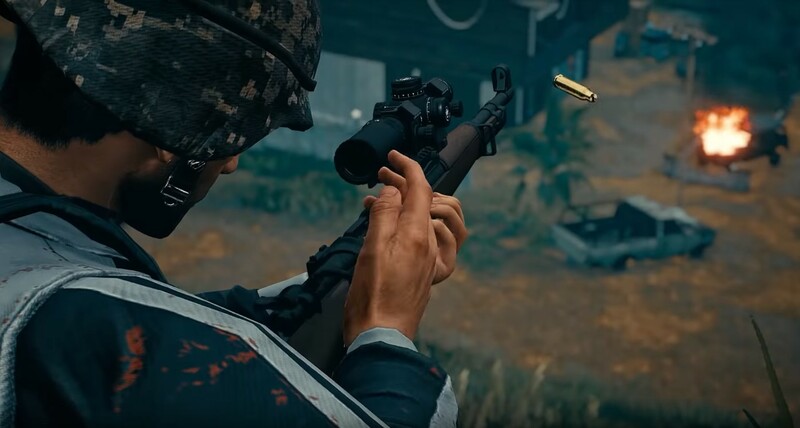 Of course this PUBG tips guide is not overlooking other attachments – pick up any muzzle and grips you find along the way as they drastically improve weapon handling. Not only is the Pan the most damaging melee weapon in the game, it is also bulletproof. If you have one in your inventory then it will hang over the posterior of your character model, providing your arse with full protection from incoming enemy fire. So you know where to land and what gear is right for you, what about the rest of the game? Here, we offer some PUBG tips and tricks for claiming your first chicken dinner. Often in PUBG, you will find yourself under fire from enemies you cannot see. Sometimes it will take some time before you are even able to ascertain which direction the bullets are coming from. Going prone is the natural response, but this just gives your enemy time to reload, adjust their aim, and finish you off. Instead, keep running in an unpredictable line towards the nearest scrap of cover before deciding whether to keep fleeing or return fire. If a player knows where you are in PlayerUnknown’s Battlegrounds they have a great chance of killing you. Driving around in a noisy, bulky jeep or sedan alerts everyone in the area to your presence, making it tough to then go back into hiding. If you are going to use a car, do so to cover large amounts of ground quickly or head to the outskirt of the map for the best gear. This is not a game for itchy trigger fingers or renegades – just because you can see an enemy, it does not necessarily mean you should shoot them. It is not just that you might miss or get killed by them, it is that you do not know who else is watching or going for the same target. If you do want to rack up the kills, then it is still wise to hold fire until you can claim a quick and easy kill. Generally, you can tell if a building has been looted from whether its doors are open or closed. If they are open you know a player has been there, taken all the gear that is worth taking, and either left or stuck around hoping to use said gear to kill any opportunistic looters. So when you come to loot a building or use it as a vantage point, close the doors behind you in order to fool other players into thinking it is a safe loot spot. Even if you leave a building it is wise to shut the door behind you to waste the time of other players, giving you a solid head start. The most essential of all PUBG tips: mute voice chat. It is just racism and screaming forever and ever. As for volume in general, you will want to crank it up as high as is safely possible because your ears are as useful as your eyes when it comes to staying safe and alert in PUBG. Most players run everywhere, which makes a lot of noise. Use this if you are camping in a building so you know when it is time to pull out the shottie. Gun shots are a reliable indicator for danger, and playing with the volume set high will allow you to hear even the most distant gunfire. When you exit the airplane you will have two general options: aim downwards to land as fast as possible, or aim at the horizon in order to put you far away from the flight path and thus clear of other players. Landing fast is fine if you are a quick looter and comfortable in a fight, but if you want safety and time to plan then wingsuit off into the distance. While aiming down sights gives you the best accuracy, if you’re fighting in buildings then the third-person view lets you see much more of your surroundings – it’s also very accurate up close. Extra tip: you can switch which shoulder you’re looking over by using Q and E.
Headshots in PUBG are fatal if you are not wearing a basic helmet. With even a level one helmet equipped you can survive a headshot from all but the most powerful of weapons. If you want to break into the top 20 players then by all means stay in the centre of the safe zone and keep your head down, but if you are after Rank #1 then you will want to constantly skirt the safe zone’s border for good gear. As an added bonus, when the zone reduces to its smallest size you will know that your rear is safe, whereas if you were in the centre you would have 360 degrees to cover.